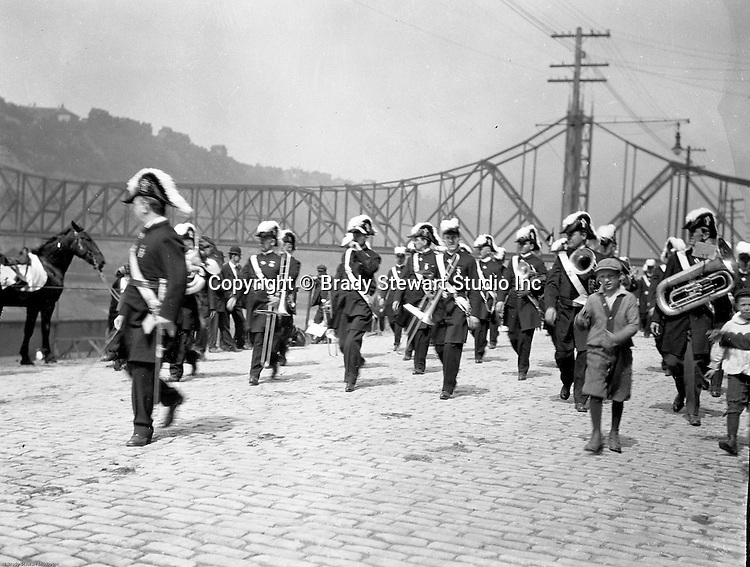 Pittsburgh PA: Pittsburgh-area Manson marching in the annual St Patrick's Day Parade - 1903. View of Masonic Band marching down Water Street with children walking along side the troop. The new Wabash Bridge in the Background.